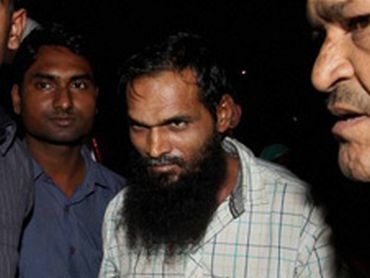 Rediff.com » News » Are these the men who planted the bombs in Hyderabad? Are these the men who planted the bombs in Hyderabad? Preliminary investigations by the National Investigation Agency into Thursday's Hyderabad blasts suggest that the same module that carried out the 13/7 Mumbai blasts is behind the attack. The NIA has said that two operatives -- Tabrez and Waqas -- who were part of the 13/7 Mumbai bombings could be involved in this attack as well. Tabrez, alias Asadullah Akthar, is a resident of Uttar Pradesh and is the son of a doctor from Azamgarh. He carries a reward of Rs 10 lakh on him. 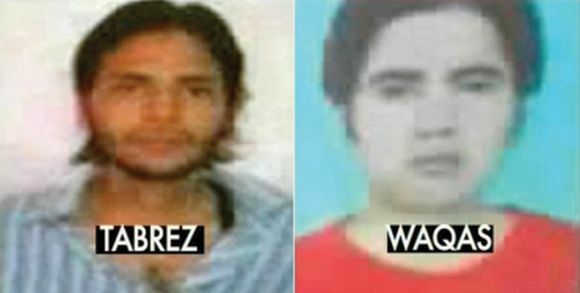 Tabrez and Waqas had planted the bomb at Zaveri Bazar and Opera House during the 13/7 blasts. Both these men were acting on the instructions of Indian Mujahideen founder Yasin Bhatkal, who is also a suspect in the Hyderabad blasts case. The sketches the two operatives were released after the 13/7 blasts. It is said that Tabrez had gone missing since 2008 and the police suspect that he had joined the Indian Mujahideen. However, his father denied the allegations and said that his son's name is Asadullah and not Tabrez. Tabrez and Waqas were last spotted in Byculla in Mumbai with Yasin Bhatkal, but managed to give police the slip. Following the Mumbai attack the same group planned the Pune attacks. But the strike was planned in a hurry and was done to avenge the death of IM operative Qateel Siddiqui who was killed in a Pune jail. Around the same time, on the instructions of Yasin Bhatkal, it was decided that the duo would target Hyderabad. While the same set of youngsters took part in the attack, the services of Sayed Maqbool, who has links with both the Lashkar and IM, was roped in. It is alleged that Maqbool had surveyed Hyderabad with Yasin Bhatkal. For this operation Maqbool remained in touch with his LeT contacts and is alleged to have taken instructions regarding the timing of the blast from them. 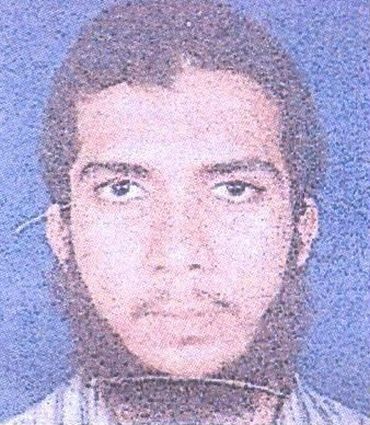 Maqbool was arrested in connection with the Pune blasts. The NIA, which is heading the probe with the help of the Hyderabad police, say that these leads are largely based on earlier confessional statements and investigations by the Delhi police. There are inputs to suggest that there were two bombers at the spot and the investigators suspect that it could have been Waqas and Tabrez. The NIA will now seek the help of the Delhi police in this case. They would also contact the Maharashtra Anti Terrorist Squad that has been probing the Pune blasts case. Meanwhile, the police have detained one person and are questioning him.